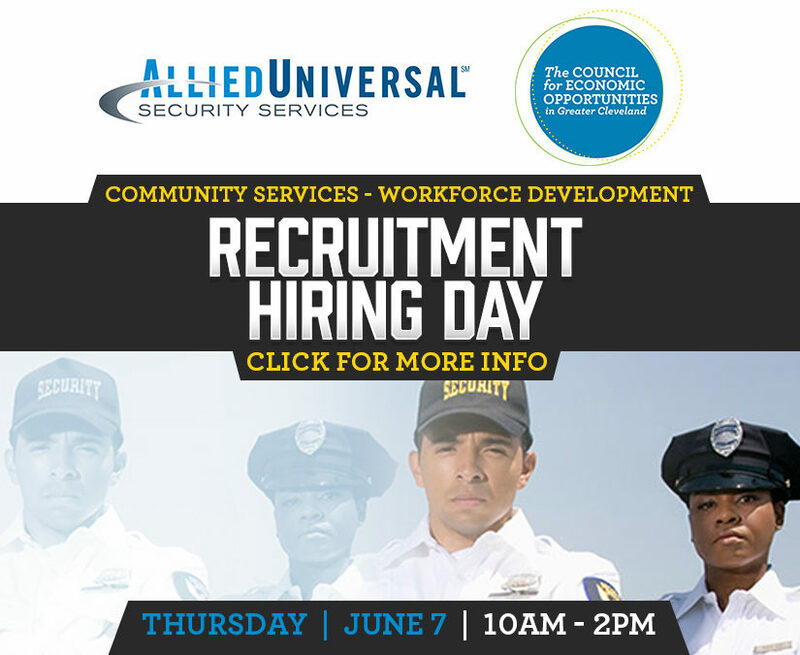 The Council for Economic Opportunities in Greater Cleveland is teaming up again with Allied Universal to host a one-day hiring event on Thursday, June 7. This is the second time CEOGC has welcomed the company for a hiring event, the first was in November. It runs from 10 a.m. to 2 p.m. at CEOGC’s Central Neighborhood Opportunity Center at 1801 Superior Ave., Suite 400 in Cleveland. Allied Universal is hiring customer-service based security officers at numerous properties throughout the Greater Cleveland area. Attendees are encouraged to bring their resumes and dress professionally for the event. Allied Universal will be conducting on-the-spot interviews. For more information about the event, please call (216) 651-5188.